 When its shrinkwrapper proved too troublesome, pharmaceutical product manufacturer Guardian Drug Company purchased two new custom ATS Corner Line Automatic Banding Machines from Wexler Packaging Products. They were specifically designed to bundle their range of generic pharmaceutical products. Where the shrinkwrapper required several operators, each banding machine only requires one. 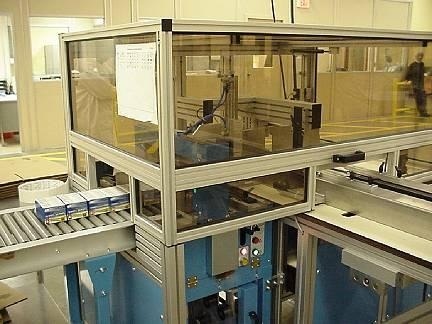 The shrinkwrapper also created excessive heat, resulting in poor bundle quality and added energy costs. After the finished products discharge from the cartoner the operator accumulates and inspects the boxes then places then in a special side-driven conveyor. The rest is automatic; a pushing mechanism directs the six cartons 90 degrees off the conveyor and into the banding mechanism of the machine. The Corner Line Banding System ultrasonically seals a paper or poly band around the 1 x 6 configuration of cartons. Bundles are advanced forward to a series of rollers that lead directly to a packing station. Production speed has increased enough to require an additional person to pack the finished products Shah says.